According to the Centers for Disease Control and Prevention, stroke kills approximately 140,000 Americans annually - the equivalent of 1 out of every 20 deaths. Come join us for a talk exploring modifiable risk factors, signs, symptoms, and the latest treatments available during the Weill Cornell Medicine Wellness Series at the 96th Street Library. Babak Navi, M.D., an Associate Professor of Neurology and Medical Director of the Weill Cornell Stroke Center, is an expert on the relationship between cancer and stroke. He has published numerous studies on this topic and led the first randomized trial to compare different blood thinning strategies for patients with cancer and stroke. Dr. Navi has also conducted research studies on stroke of undetermined cause, stroke during pregnancy, cerebrovascular presentations of dizziness, and physicians’ ability to prognosticate in severe brain injury. Dr. Navi has considerable experience in conducting clinical trials and served as the Cornell Site Principal Investigator for the POINT trial. 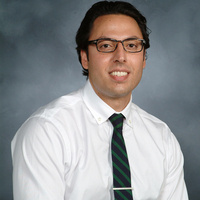 He is also an Associate Editor for the journal Neurohospitalist. He received the Young Heart Award by the American Heart Association New York Chapter in 2017.